Shandong University of Science and Technology (SDUST), a key university of Shandong Province with distinct features, founded in 1951, is a multi-disciplinary university, offering comprehensive education in engineering, sciences, management, humanities, law, economics and education while giving prominence to engineering and the integration of science and engineering. The University now has 3 campuses. Main campus is located in Qingdao-a most charming coastal city with a view of "red tiled roofs, green trees, jade sea, and blue sky" and the host city for 2008 Olympics Sailing Regatta. Another two campuses are located in Tai'an-a tourist resort well-known for Mt. Taishan, a World Natural and Cultural Heritage site, and Jinan-the provincial capital known as a "city of springs". The University comprises 16 academic colleges, 9 departments and 1 independent college. 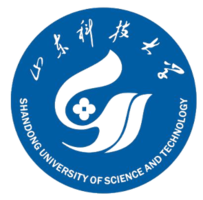 There are 5 post-doctoral research stations, 3 level-1 doctoral programswith 24 disciplines/specialties conferring doctor's degrees, 7 disciplines with Taishan Scholar professors of Shandong Province, 12 level-1 master's degree programs with 77 disciplines/specialties conferring master's degrees, 14 domains conferring master of engineering degrees, and 72 undergraduate programs. The University also boasts 1 state key discipline (under cultivation), 27 provincial/ministerial key disciplines (laboratories), 1 provincially-strengthened research base of humanities and social sciences, 1 Qingdao City key laboratory, 1 engineering research center of the Ministry of Education, 7 provincial-level research centers of engineering and technology. Also attached to the University are a professional center with an authorization of the National Manufacturing Informationization Training Center, a foreign language training center under the State Administration of Foreign Experts Affairs, Shandong-Russia Center of Scientific Cooperation, and Qingdao Manufacturing Informationization Personnel Cultivation Base. The Russian Academy of Natural Sciences set up a China Science Center at the University, the only one in China. The University actively participates international exchanges and cooperation with a view to promoting internationalization of education. It has established cooperative relationship with 77 higher learning institutions and research institutes in 17 countries including the USA, Japan, Germany, Russia, France, etc., and over 50 scientific and technological cooperative projects have been initiated. Now much headway has been made in the promotion of cultural exchanges, faculty exchanges, sabbatical training and joint postgraduate programs. Its international students come from countries such as Japan, Russia, the USA, France, the Republic Korea, Germany, Mongolia and Pakistan. To date, the University has set up 6 Sino-foreign joint laboratories. The University hosts or sponsors large-scale international academic conferences annually and more than 20 faculty are members of various international academic institutions. The excellent academic performance, deep foundation of culture and a modern open environment make SDUST an ideal place for international students to pursue their study.